B.4.8.3 Activity Diagram (EFFBD): refers to allocations to parts instead of blocks SysML1.0: 'B.4.8.3 Activity Diagram (EFFBD) - Acceleration (detail) Figure B.35 shows the ProvidePower activity, using the decomposed activities and objectFlows from Figure B.34. It also uses AllocateActivityPartitions and an allocation callout to explicitly allocate activities and an object flow to parts in the PowerSubsystem block.' In fact the AllocateActivityPartitions in Figure B.35 represent blocks, not part Properties typed by blocks. In Figure B.29 'delta-t' is shown with solid-line (AggregationKind 'composite'), it should be shown with a dashed line (AggregationKind 'none') to be consistent with Figure B.26 BDD for EconomyContext. Figure B.18 BDD shows PowerSubsystem with parts: trsm: Transmission ice: InternalCombustionEngine em: ElectricalMotorGenerator pcu:PowerControlUnit (epc: ElectricalPowerController) .. 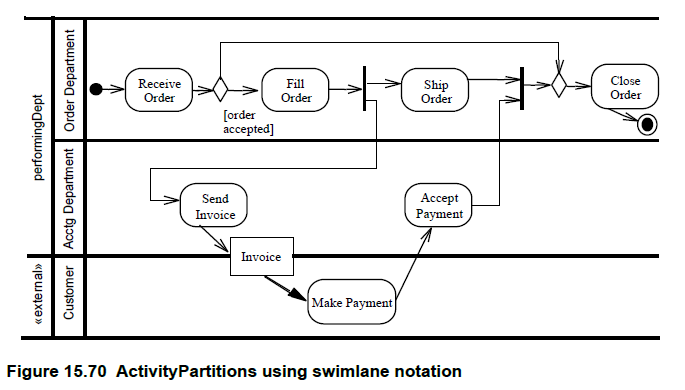 Figure B.10: justify/clarify 'StartVehicle' from outside in terms of UML Please clarify how UML4SysML supports the drawing of a 'StartVehicle' message from the boundary of a ref Interaction. SysML needs the capability to interchange diagrams in addition to model data. The concrete syntax complliance should include a requirement to comply with diagram interchange in a similar way that the infrastructure specifciation does. The following is included in section 2.3 of the Infrastructure Spec under Concrete Syntax Compliance: - the ability to output diagrams and to read in diagrams based on the XMI schema defined by the Diagram Interchange specification for notation at that level. This option requires abstract syntax and concrete syntax compliance. The proposal is to add the same requirement as above to section 5.3 as a second bullet under the concrete syntax compliance. Timing diagrams are missing in SysML. They are an important diagram for several engineering disciplines. For example I know a project from the automotive/robotic domain that won't use SysML, because of the missing timing diagrams. Timing diagrams will improve the acceptance of SysML in engineering disciplines. The figure and added text describing the use of <<extend>> is still unclear and inconsistent. As agreed, converting Start the vehicle to an <<include>> and Park to <<extend>> will correct the confusion and make the added text unnecessary. It is allowed that for example a trace relationship has more than one client or supplier. It is unclear how the callout notation looks like for such a relationship. Although it is mentioned in the text it isn't 100% clear that a view has only one conforming viewpoint. Define a constraint for a view that only one conform relationship to a viewpoint is allowed.